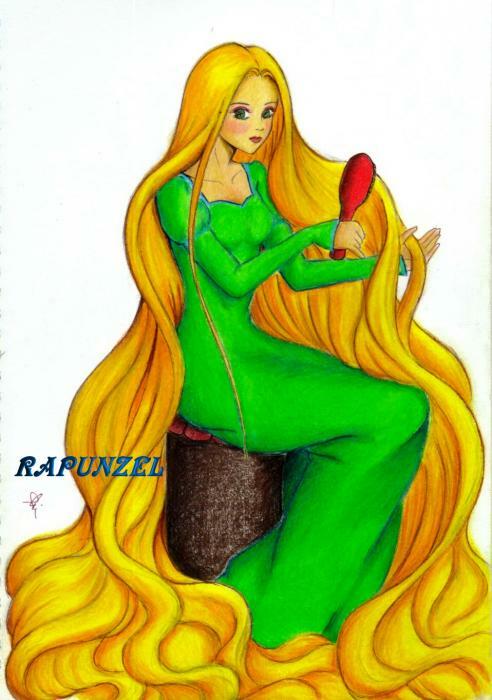 Everybody knows the story of Rapunzel, the girl with the long, golden hair who was imprisoned in a tower. At long last, she spied her prince, and she let down her hair so that he could climb up and rescue her. It is a beautiful tale, straight out of German folklore like so many other classic fairy tales. 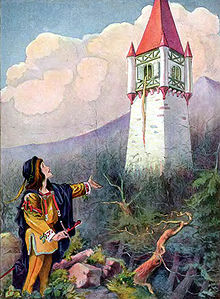 While not the most famous of their fairy tales, "Rapunzel" is perhaps their sweetest, with a clear-cut story and moral that translates well to modern readers and viewers, encapsulating every parent's misplaced desire to guard and protect their lovely daughters, and every girl's eventual need to break free, whatever the cost. 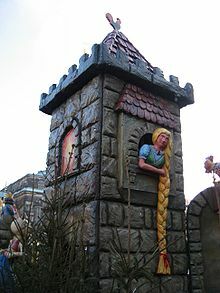 The story of Rapunzel was neglected for many years while Snow White, Sleeping Beauty and other princesses got fame, fortune and classic Disney movies. 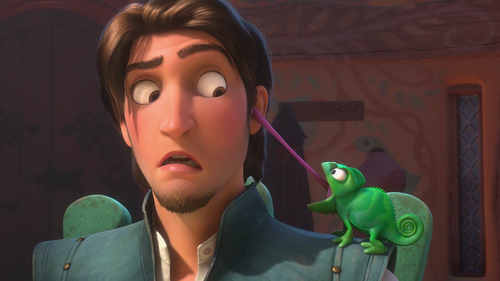 This sad situation was somewhat rectified with the release in 2010 of the Disney movie "Tangled." 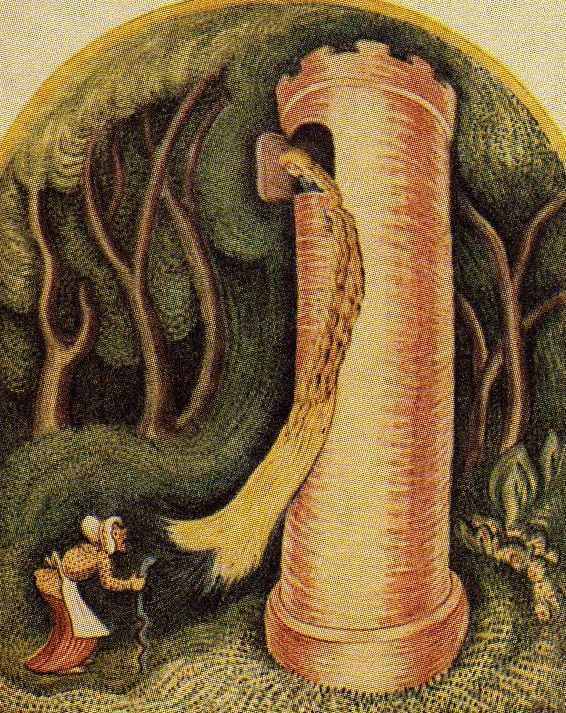 As with all of the traditional folk tales out of Europe, the precise origins of the tale of Rapunzel are lost in the mists of time. Likely, they were stories from the early Renaissance passed down by storytellers over many centuries, gradually gaining a coherent and increasingly elaborate storyline with all of the rough edges smoothed over so that it was punchy, relatively short and pleasing to the listener. The earliest known instance of the tale in printed form is the tale of "Petrosinella" by Giambattista Basile, set forth for posterity in "Pentamerone" (1634). The story continued developing over the centuries, and variants were published by several others. Italo Calvino set forth his version in "Italian Folktales," the story entitled "The Canary Prince," while other versions by others were called "Puddocky," "Prunella," "Snow-White-Fire-Red" "Anthousa, Xanthousa, Chrisomalousa, and "Golden" by Cameron Dokey. The story continues to be reworked to the present day, with Australian author Kate Forsyth putting forth her own variant in "Bitter Greens." "Some boys take a beautiful girl / And hide her away from the rest of the world"
The version that people remember the best, though, is none of those. Rather, is the one printed by the Brothers Grimm in their 1812 collection of traditional fairy tales "Children's and Household Tales," which is the basis for the version set forth below. A lonely, childless couple desperately wants a child. 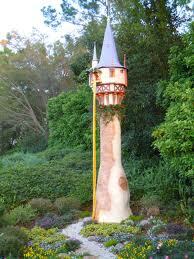 They live next to a walled garden belonging to an enchantress, Dame Gothel. The wife finally becomes pregnant, and she experiences cravings. 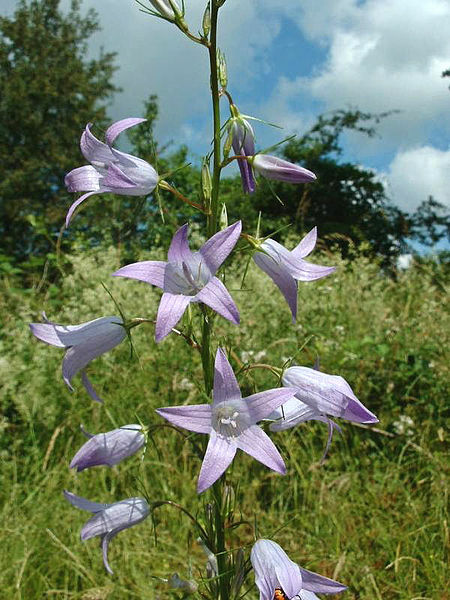 Noticing lovely rapunzel plants growing in the garden, she pleads with her husband to get it for her. he obliges, and each night sneaks over the wall to steal some for her. On the third night, though, Dame Gothel catches him and brands him a thief. She is about to dispense justice using her enchantress ways, but he begs for clemency. She relents only upon the condition that the couple give her the child upon birth. 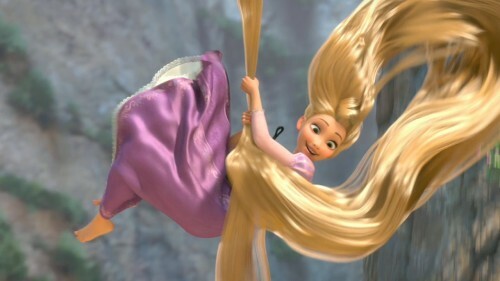 "Rapunzel, Rapunzel, let down your hair, so that I may climb the golden stair." Upon hearing these words, Rapunzel would release her golden tresses and allow Dame Gothel to climb her hair up to the window. 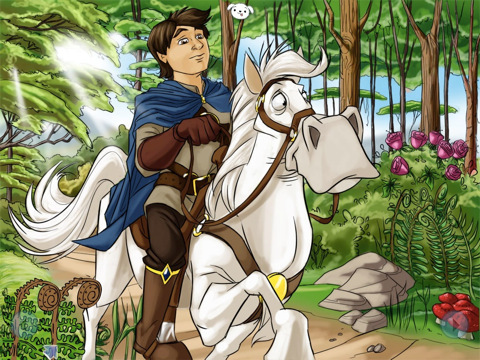 One day, though, a handsome prince was riding through the forest and heard Rapunzel singing her sweet song. 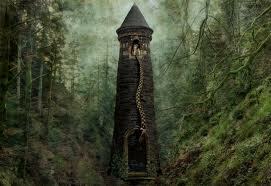 Entranced, he searched for the owner of the enchanting voice and discovered the tower. Unable to enter, he returned often, listening to the sweet sound of the lonely girl locked away from the world. On one of his visits, he saw Dame Gothel visit. Watching the enchantress call out and gain entry, the prince got an idea. 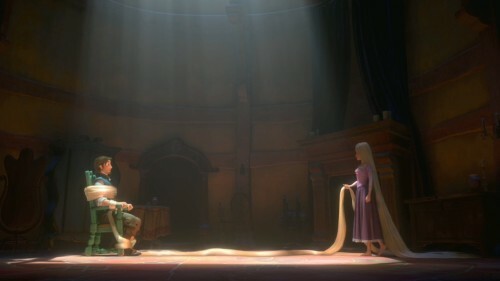 He imitates Dame Gothel and fools Rapunzel into letting down her hair. 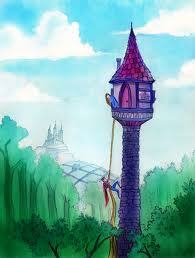 The prince climbs up and meets Rapunzel, eventually asking her to marry him, to which Rapunzel agrees. 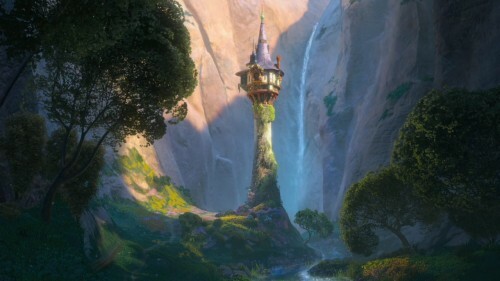 Knowing that Dame Gothel will never agree, the prince and Rapunzel must figure out a way to get the beautiful Rapunzel out of the tower. 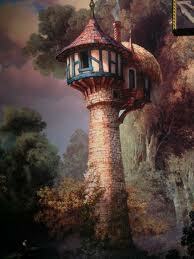 They decide that he will come to visit each night, when Dame Gothel is not there, and bring her silken thread for Rapunzel to weave into a ladder. 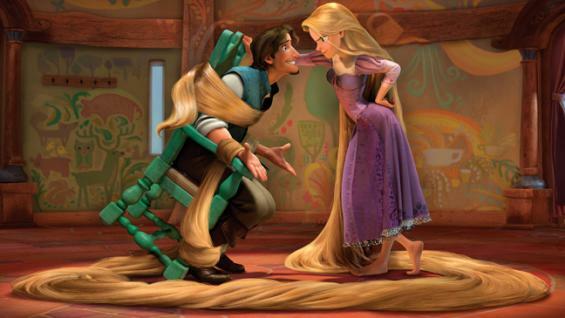 Before she can complete the ladder, though, Rapunzel innocently asks Dame Gothel why it is easier to let up the prince than her. Incensed that Rapunzel has been allowing the prince to visit, Dame Gothel cuts short Rapunzel's hair to prevent future such instances and banishes her to the forest. That night, when the prince comes to visit, Dame Gothel lets down the hair, and when he climbs up, he finds the enchantress instead of his love. The enchantress, flush with victory, tells the prince that he never will see Rapunzel again. In despair, he leaps off the tower and becomes blinded by thorns. Wandering thereafter alone in the forest, the blind prince stumbles upon Rapunzel, who now lives with fraternal twins (a boy and a girl) to whom she has given birth. He hears her voice as she is out gathering water, and they are reunited. Embracing, her tears restore his sight, and he then leads her and the children to his castle, and they all live happily ever after. 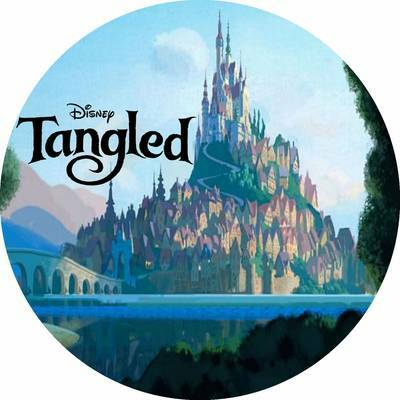 "Tangled" (2010), directed by Nathan Greno and Byron Howard, is Disney Animation's re-working of the classic Brothers Grimm tale about Rapunzel, the girl locked in a tower with long, luscious hair. Computer-generated imagery is used in this 3D animation production, but the studio did its best to make it look like a traditional hand-drawn feature. Technical advancements during the long six years of production made the characters' features much more lifelike than in, say, 2004's The Polar Express (not to pick on that film, which is fun just the way it is). 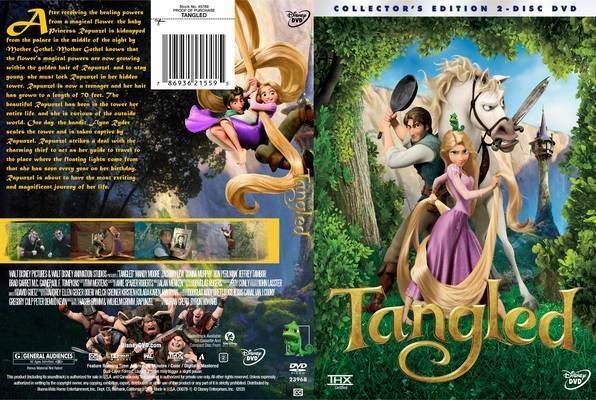 "Tangled" also has an edge to it which may disconcert some viewers, with some violence and blood, but nothing that should disturb a modern viewer. The songs, while not particularly memorable, are performed well primarily by pop star Mandy Moore and help give Rapunzel's character an added dimension. Gothel (Donna Murphy) discovers a flower that has the ability to restore youth. She hides it away for her own selfish use, but eventually the king of a nearby kingdom hears about it and takes it to save his pregnant wife, destroying it in the process. The newborn princess (Mandy Moore) inherits the plant's magical powers, illustrated by her long, luscious golden hair. Gothel, determined to regain the plant's power, kidnaps the baby girl and locks her away in a tower, naming her "Rapunzel." The girl's parents honor her memory every year by releasing floating lanterns on her birthday, and she grows up hidden away, knows nothing of her abduction, and believes that Gothel is her mother. 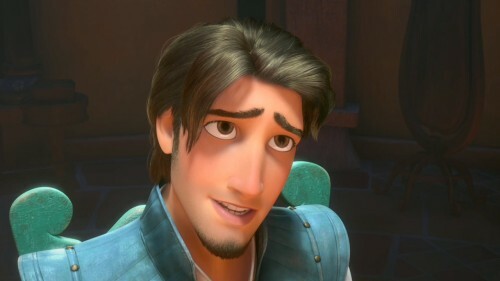 A thief, Flynn Rider (Zachary Levi), steals the tiara of the lost princess and chances upon Rapunzel's tower. He climbs up to visit her, but she subdues him and locks him up in a wardrobe. Rapunzel tells Gothel that her capture of Flynn means she can handle the outside world and should be allowed out, but Gothel denies her request and keeps her imprisoned. 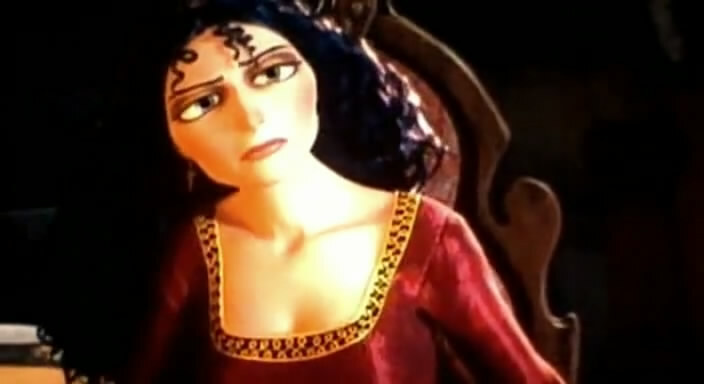 As an alternative reward, Rapunzel sends Gothel on an errant that will take several days to complete. 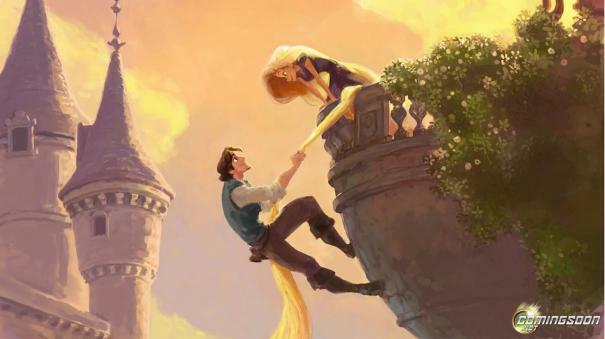 Rapunzel then frees Flynn and tells him she will give him back the tiara if he takes her out into the world to visit the pretty lights she can see from her balcony once a year. The plot is intricate and confused in places, but also very sweet. The voice actors are all familiar, with Brad Garrett, Jeffrey Tambor, and Richard Kiel ("Jaws" from the James Bond films) all given minor but memorable roles. While this at heart is a story about Rapunzel from the fairy tale, it is made into an adventure with new heroes, a male lead along with the female lead of Rapunzel, and villains. 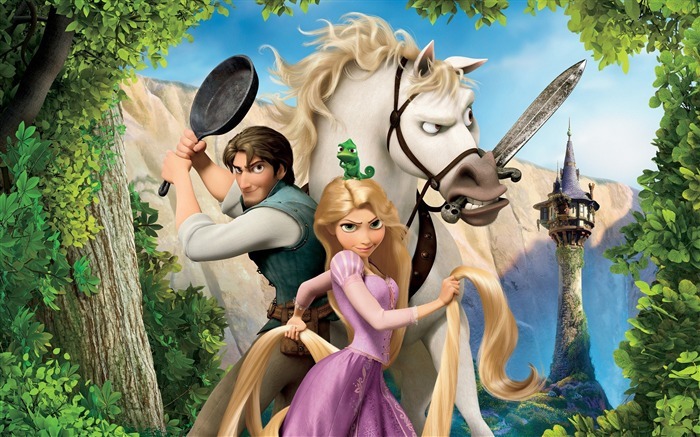 "Tangled" thus becomes a very entertaining feature for all children, whereas a focus on just Rapunzel and her hair inevitably would have turned into a girls-only affair. 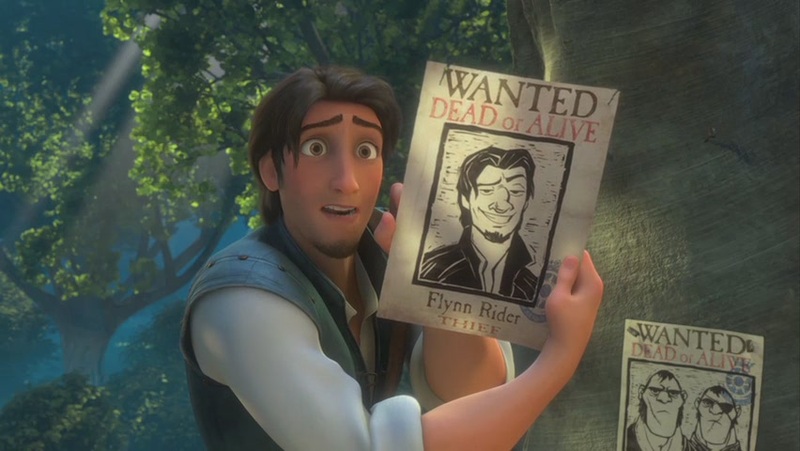 Flynn reminds me a great deal of the Bruce Campbell character of the thief "Autolycus" from Kevin Sorbo's television series "Hercules: The Legendary Adventures." He wears the same style of green tunic and displays a similar wise-cracking, knowing style. Most of all, he realizes the power of being a charmer. Rapunzel's ability to crack his facade and force him to reveal his true nature is the part most fans of this film will enjoy the most. Disney really can't please anyone in these days of political critiques of everything it does, and this film is a classic example of that. Either it emphasizes Rapunzel too much and loses its young male audience, or it broadens its sweep to include a male hero and invites gratuitous swipes from some critics. While not an epic instant classic like "Beauty and the Beast" or "The Little Mermaid," "Tangled" is a delightful new princess adventure that should satisfy most small children, though not every adult with a warped political agenda for them. Kids seem to like it, and the film was a stunning success at the box office, becoming Disney Animation Studio's second highest-grossing film worldwide, trailing only the internationally focused "The Lion King." Watch out for that frying pan! Perhaps the best way to sum this film up is to say that it is Disney updating a classic tale for modern sensibilities, with sitcom gags and a touch of violence, but keeping the essentials intact. Nothing wrong with that, and the film was nominated for an Academy Award for the song "I See the Light," which won a Grammy. This is a fun tale, about a lot more than a girl with long hair, and isn't just a film for girls only. 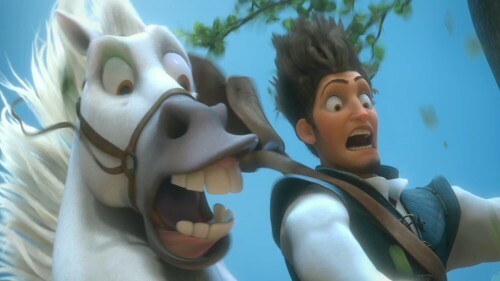 Below is the trailer for "Tangled."